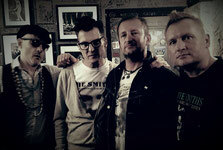 We formed the band back in 2003 because of our passion for The Smiths. 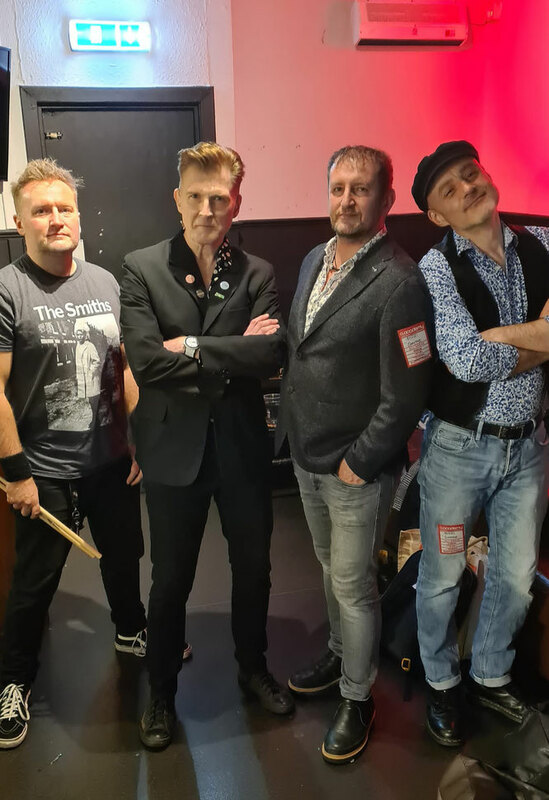 We didn't just want to be a tribute band - we wanted to play the music of The Smiths and recreate what is was to see and hear The Smiths live - it just happens that when you do that, the world calls you a tribute. For us that was a world of silly wigs and props - everything we felt a homage to The Smiths shouldn't be. 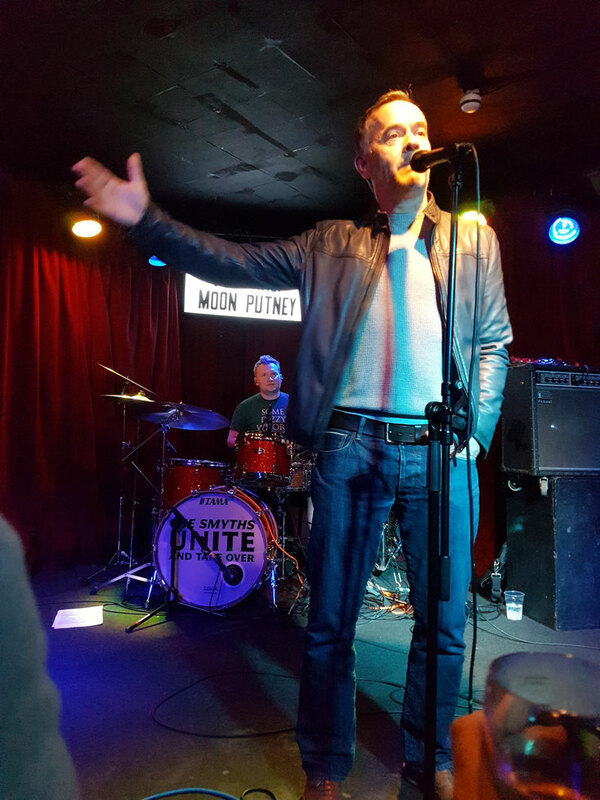 So we spent a year rehearsing every week to make sure that when we launched we sounded genuine - The Smiths and their fans (like us) demand nothing less. We focussed on the sound and spirit of The Smiths live. Fast forward 11 years and some 500 shows later and we see and hear ourselves now spoken of as being in the top tier of tributes globally. 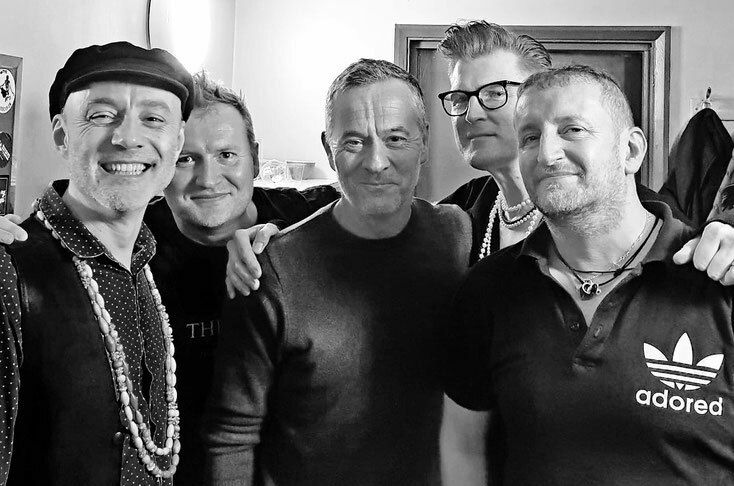 The years in between have seen us play throughout the UK, overseas and at major festivals such as Glastonbury. We've appeared on numerous TV and radio shows and many a newspaper column written. The word tribute has also developed and grown in respect in that time, coming to represent something that is not silly or trite but the best way to see and experience the music of bands no longer with us played by artists who are as passionate and dedicated to their shows as actors and actresses. 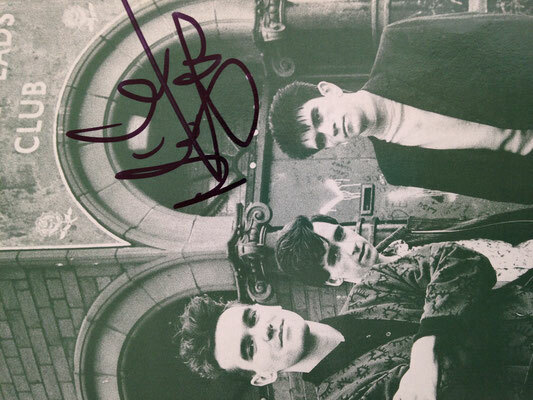 It's a pleasure and privilege to be seen as the foremost tribute to The Smiths. 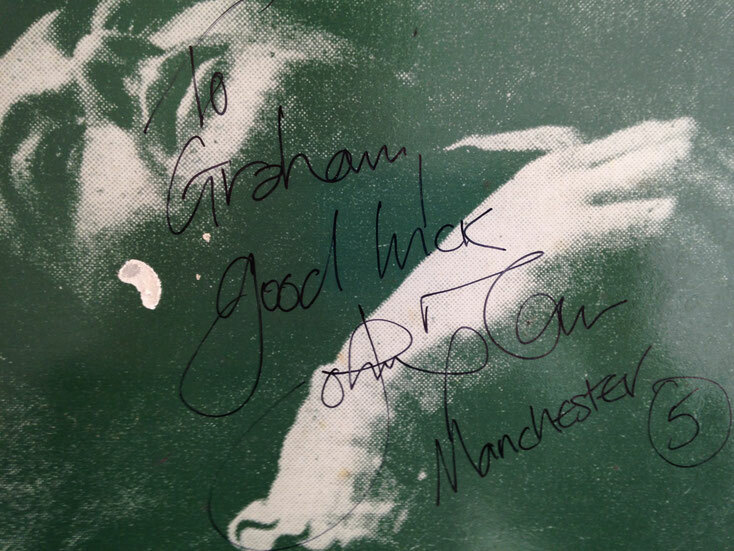 (Above) Good luck message on a signed copy of The Queen Is Dead from Johnny Marr to Graham via Uncut journalist, BBC 6 presenter (and friend of Graham) Rob Hughes, 2005 at the time of an interview Rob had with Johnny. (Above) Backstage at O2 Academy Islington - Andy Rourke plays "This Charming Man" on Simon's Bass whilst Graham sings. 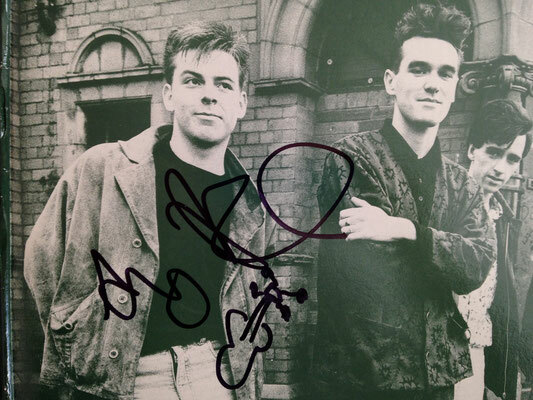 (Above, right) Andy's signature on the already signed by Johnny QID. 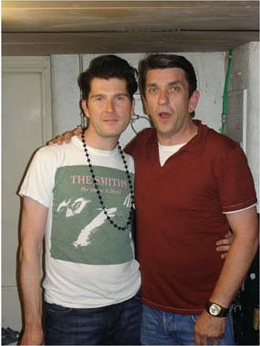 (Above left) Graham with Mike Joyce, backstage, Brixton Jamm 2006. (Above right) - Mike's signature on the above mentioned QID. 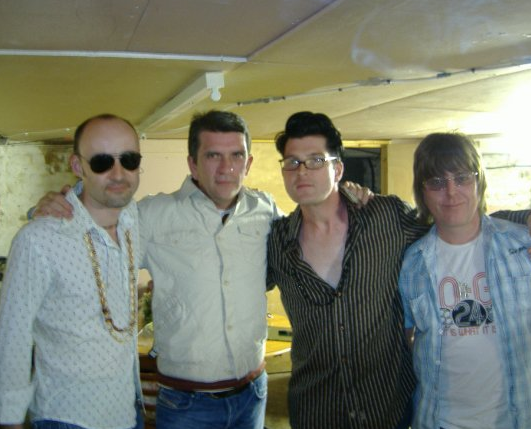 THE NEW SMITHS: Marr (Andy Munro) Mike Joyce, Morrissey (Graham Sampson), Andy Rourke. 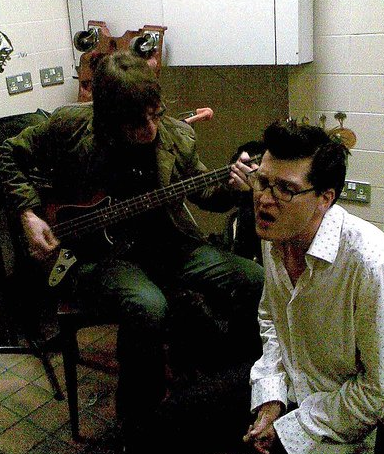 Backstage, Brixton Jamm 2006. 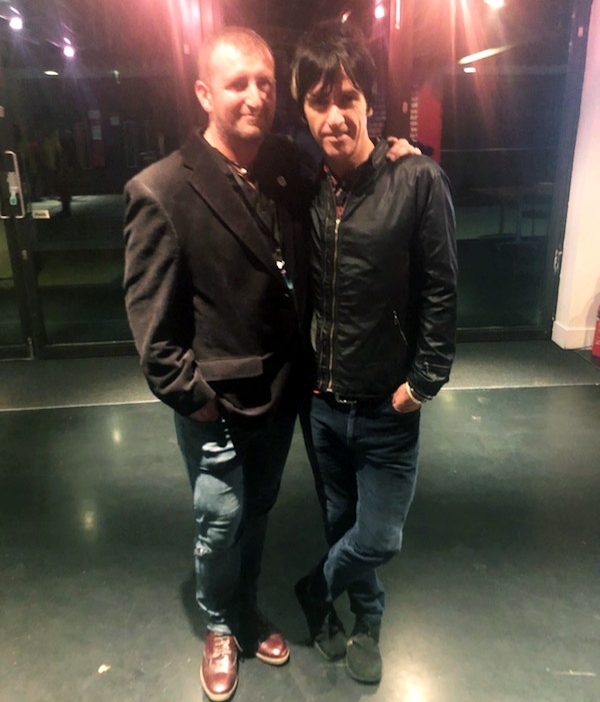 VIVA HATE: With Smith's producer and Morrissey producer/co-writer Stephen Street, Backstage, Putney 2018.